Southern Colorado weather is always changing but does boast over 300 days of sunshine every year. I would have to agree as most days when you wake up the sun is shining and there is not a cloud in the sky. Usually in the afternoon a few clouds start to appear but don’t give very much precipitation. 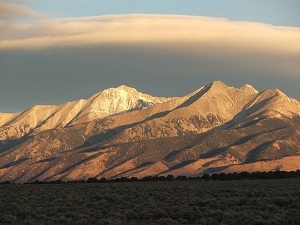 The weather will change as you rise in elevation and travel across the San Luis Valley. Please keep this in mind and dress accordingly. Southern Colorado weather in the spring is a time of high winds, especially in the San Luis Valley. Before the farmer’s crops begin to grow the wind stirs up large amounts of dust and dirt. If you are driving in the country during this time be careful as it will sometimes blow so much dirt that you can’t see very far ahead of you. Moisture in the form of rain or snow is a great reward as it will settle the dust for a few days. The temperatures vary widely from highs in the mid 60s F one day to only a high of 30 F the next day. With the wind blowing it will seem even colder due to the wind chill. It can get very cold at night with lows often below zero. March and April are usually the snowiest months of the year. Summer is the time of growth. The farmer’s crops are growing well despite a short growing season and the San Luis Valley is full of color as the potatoes are in bloom. The average day temperatures are in the 70s-80s F but the nights still can drop into the 40s. With an elevation of over 7,000 feet it is always important to bring a layer of warm clothing. Afternoon thunderstorms are common in July and August and the air will cool rapidly. Lightning is also very dominant during these thunderstorms so be careful of your surroundings when these storms move in, especially if you are in the mountains or on the dunes at the Great Sand Dunes National Park. Fall brings the harvest of the farmer’s crops. Grain harvest begins in mid-August and the potatoes are hopefully harvested before the first freeze. The potatoes are stored in cellars where the air temperature and humidity can be monitored until they are sold. 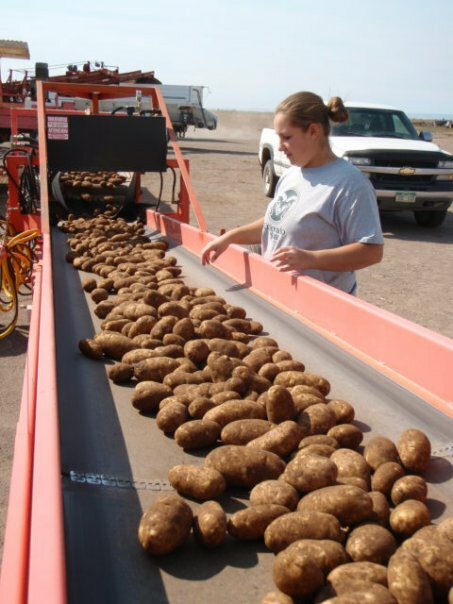 Transporting and storing thousands of pounds of potatoes is an amazing sight. Fall weather is generally mild but the nights begin to cool into the 20s-30s F. The average highs are still in the 60s-70s F.
As the trees begin to turn colors the warm days allow for pleasant viewing of the mountains. Sometime Southern Colorado weather can surprise us and bring a cold fall storm with snow around Halloween. Winter is a break for the farmers of the San Luis Valley. 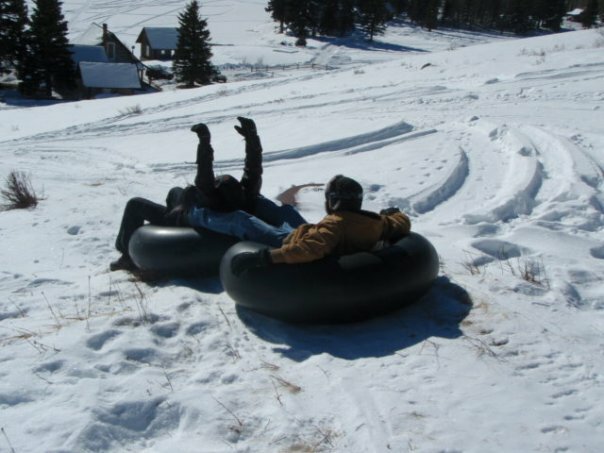 Snow is the main attraction and skiing at Wolf Creek Ski Area, riding snowmobiles, or sledding are a great way to enjoy a winter day. 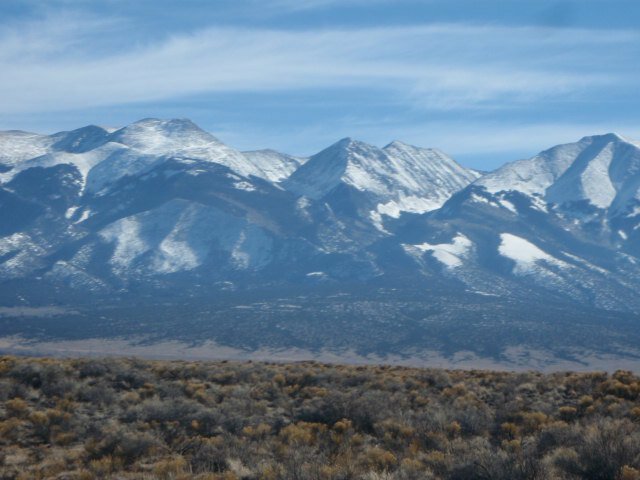 Cold temperatures are normal for Southern Colorado weather in the winter. The average highs are in the teens-30s F with the lows averaging minus 5 degrees below zero or even colder. Some winters you will not see the temperature get above freezing for several days. Even with this cold weather the sun is shining. It is often misleading how cold it actually is outside despite the sunny sky. No matter what season you visit the San Luis Valley it is important to bring layers. The Southern Colorado weather is always changing and you never know what will happen next. A joke is that you will need both your heat and A/C in your car in the same day! Special thanks to Erin N. for the use of her pictures.